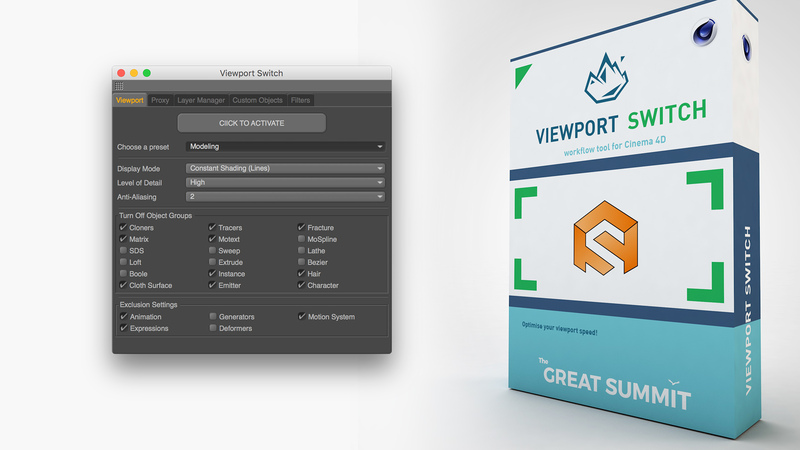 The Viewport Switch plugin enables you to turn on/off settings inside C4D with a single button or shortcut. 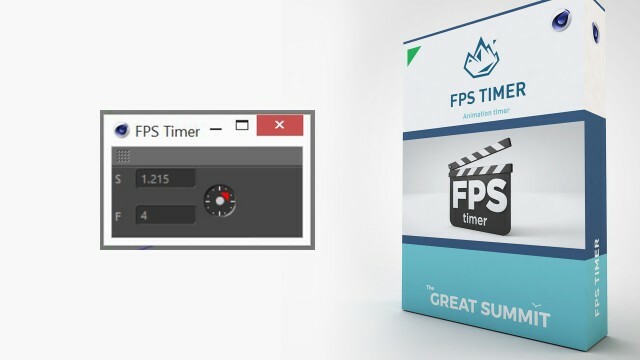 This way you can focus on your project without experiencing stuttering navigation or slow playback speeds, and without having to open the menus to change certain settings. 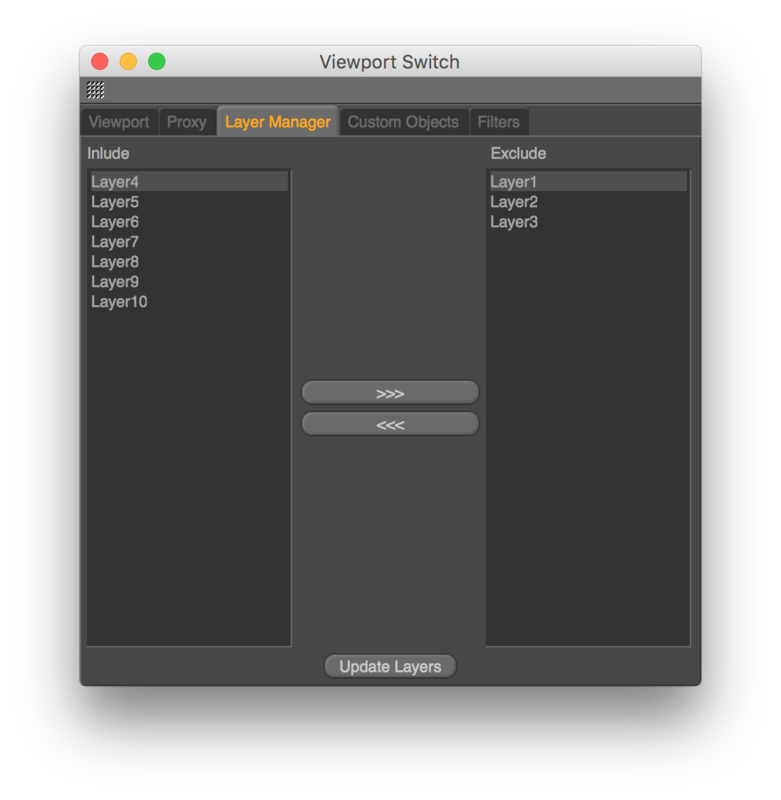 Switch between your own settings and those of the Viewport Switch. Your settings are never changed, everything is temporary. 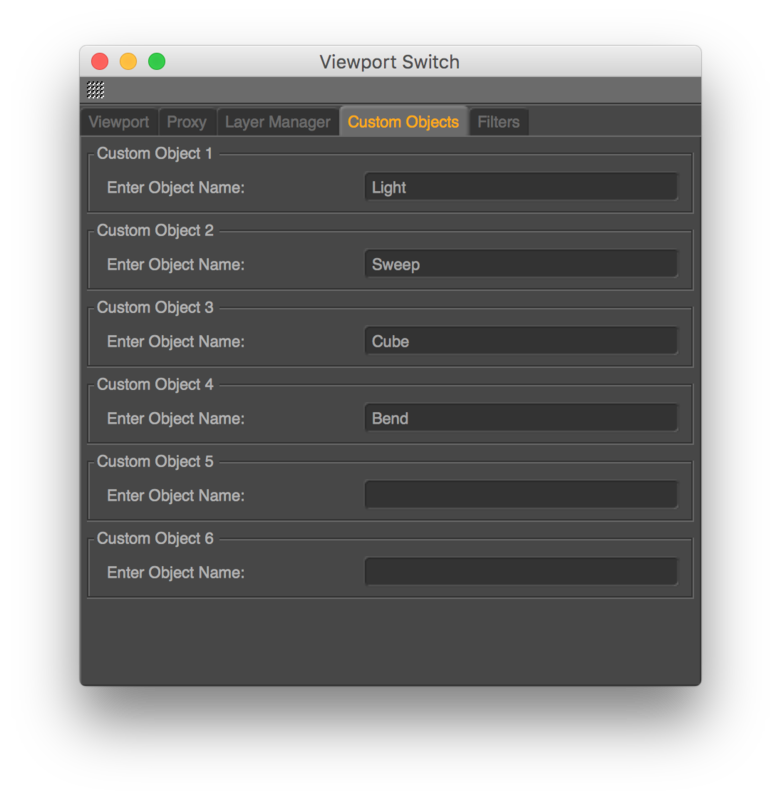 The plugin’s shortcut lets you smoothly toggle between the two modes. Turning layers off will exclude them and ensure that they are not active, nor be running in the background. 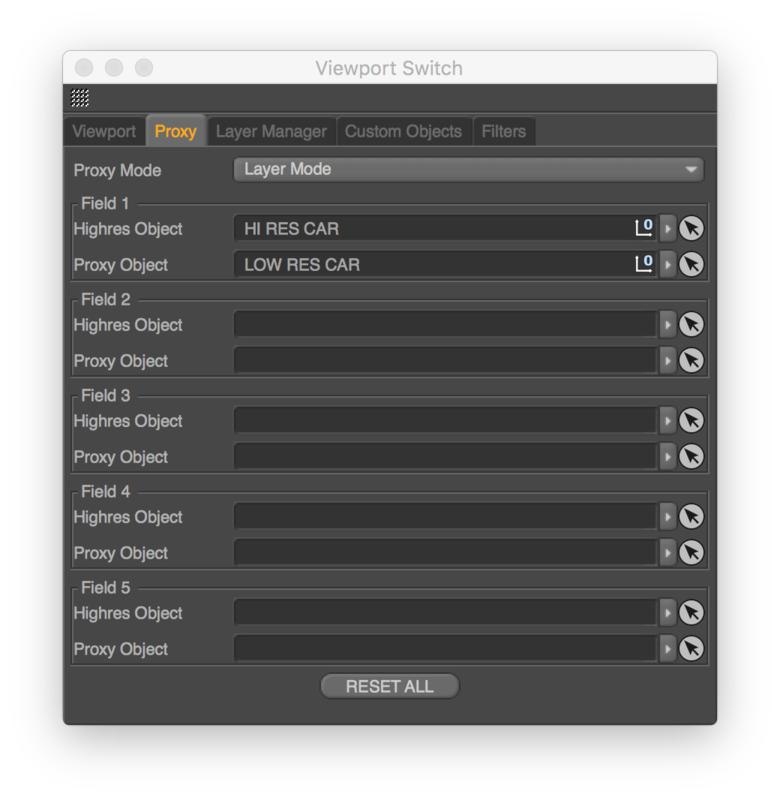 The Proxy tab lets you switch between two objects. When working with large scenes it is common to create low res objects to animate, which will then later be replaced in the final render. 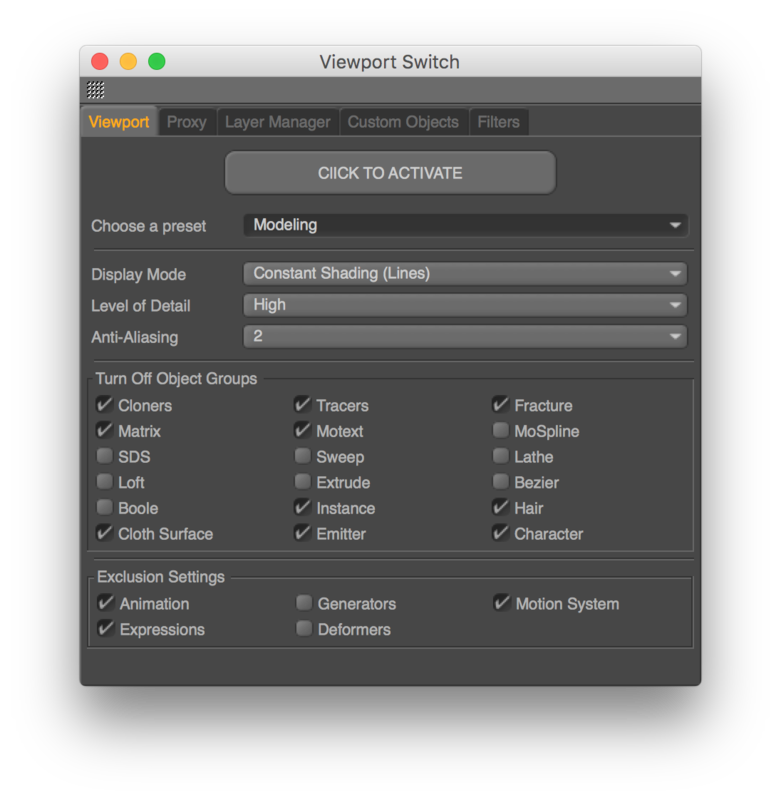 Turn off every type of object in Cinema 4D. Simply enter the name and hit the switch button. All objects of that type will be turned off while the switch is active. 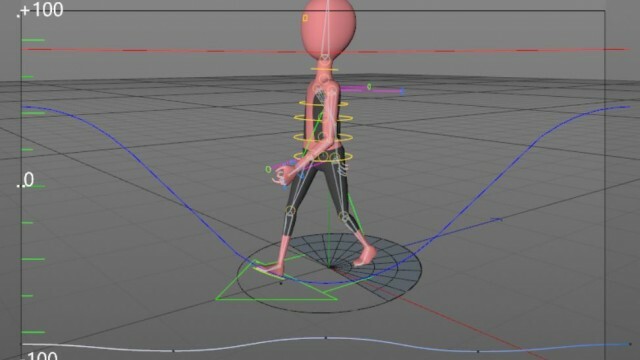 This free plugin is a nice little animation Helper. It can be used to time your events and set the timeline accordingly. 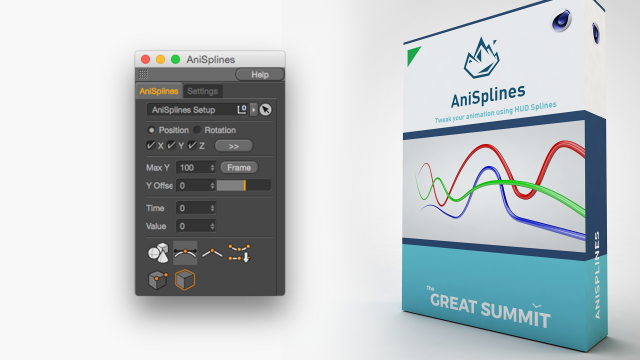 AniSplines – Tweak your animation using HUD Splines. No longer available. New version will be release shortly.